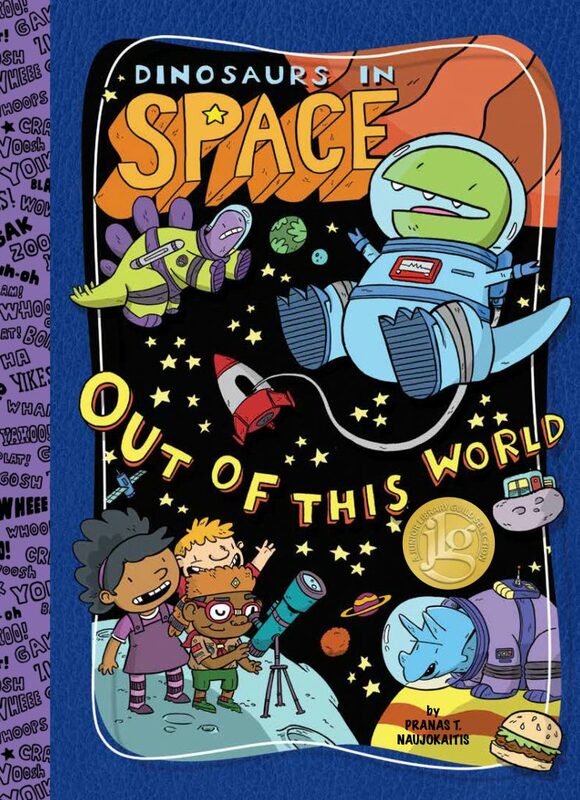 Dinosaurs, comics, and outer space—together at last! 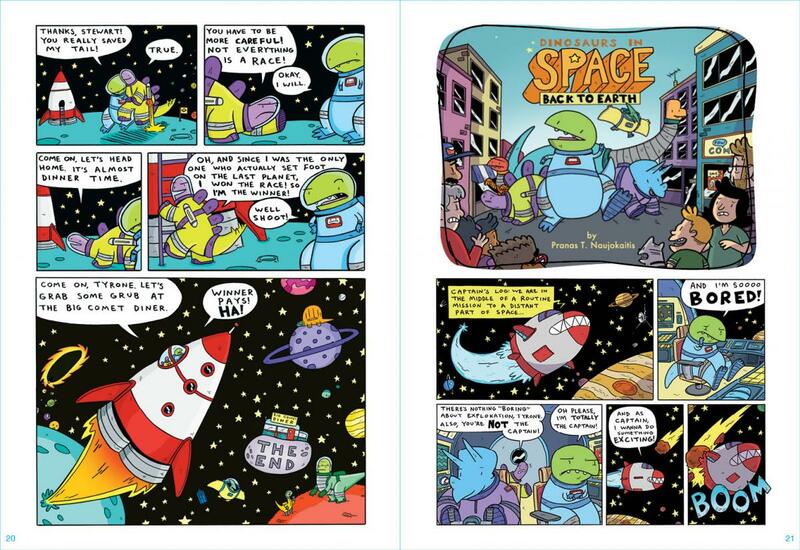 “Dinosaurs in Space” introduces the ETDs (Extra-Terrestrial Dinos) and explains how they became galactic. “Crash Landing” brings six ETDs back to present-day earth and shows their bumbling efforts to repair their spaceship. In all these dino-stories, Pranas Naujokaitis brings wit and warmth to this critically acclaimed comics/early reader series.